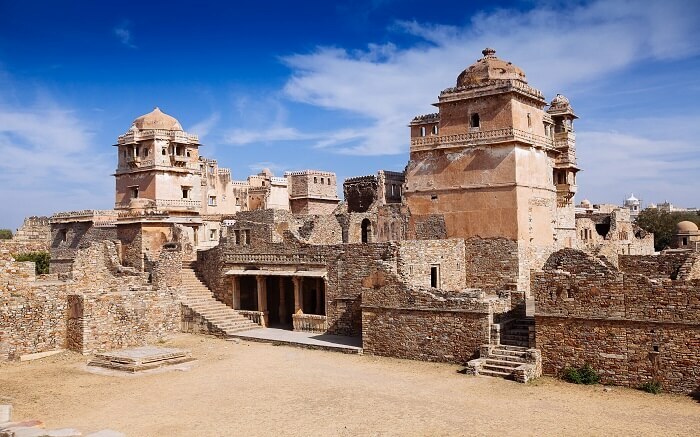 The following are the fascinating facts about this fort. 01. It was built in the 7th century AD by various Mauryan rulers and Chittorgarh Fort is said to have been the capital of the Sisodia and Gahlot kings who ruled Mewar between the 8th and the 16th century. 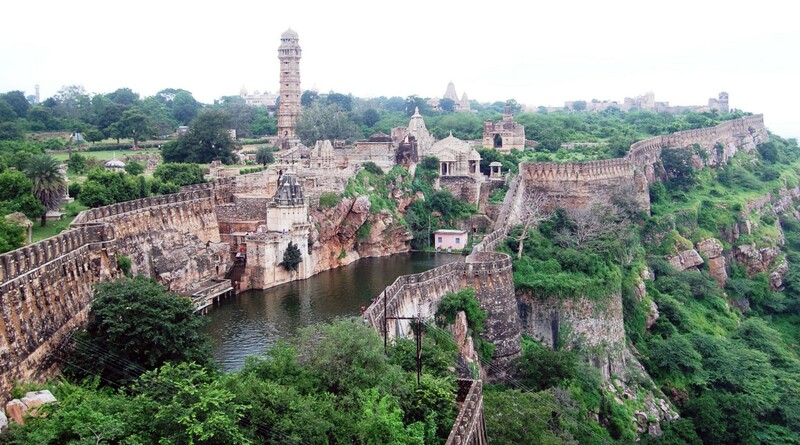 The Chittor Fort was named after Chittrangad Maurya. 02. Except the fort at Delhi, no other Indian fort would have been a silent spectator of rise and fall of so many rulers, of fierce battles and many a tragic event. a 590-foot-tall hill self-contained with tall watch towers, armory, halls, study gates, water tanks, etc. 04. 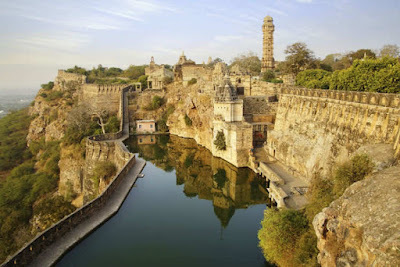 The Chittorgarh Fort is a well protected one with seven gateways guarded by a watch tower and iron-spiked doors to prevent war elephants jamming the door. 05. 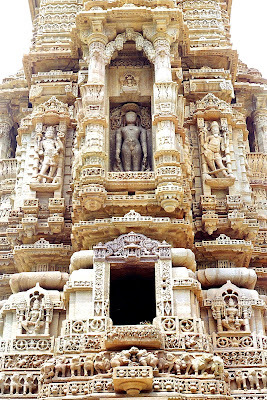 The distinctive feature of this temple is it can withstand any long-drawn siege by the enemies. 06. Once the fort had a huge water storage system with as many as 84 water bodies occupying half of the fort's space. It had enough capacity to hold about one billion gallons of water and, with rainfall, enough to maintain an army of 50,000 for four years without fear of thirst. 07. 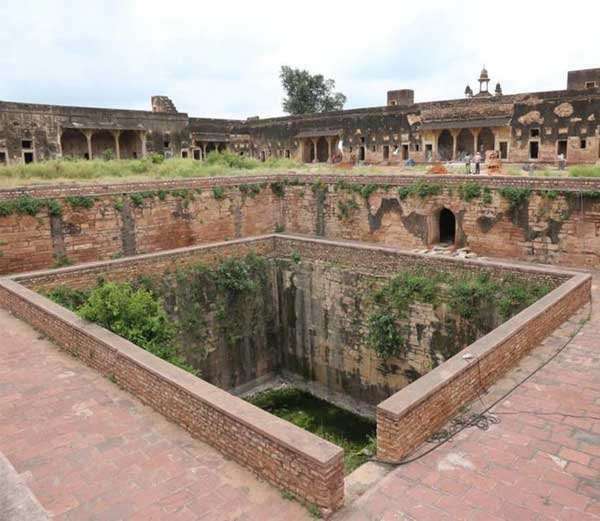 But, now there are only 22 water bodies left in the fort complex and the rest became useless. 08. 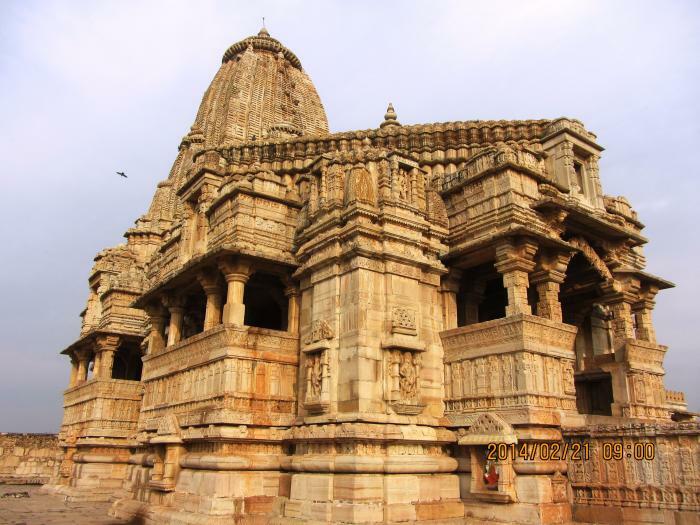 The notable structures of this fort are the Vijay Stambh or ‘the tower of victory’ and the Kirti Stamb. 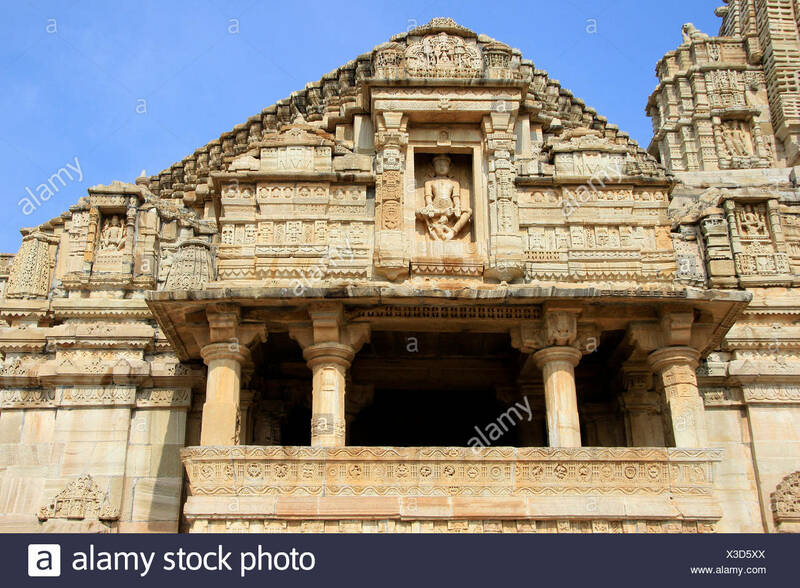 The former was built by Maharana Kumbha in memory of his triumph over Mohammed Khilji in the 15th century and the latter was built in the 12 th century dedicated to the Jain intellectual Adinath Ji). 09. From the folklore and ballads available in plenty in Rajasthan on Padvamati, we understand she was the queen of exceptional beauty of Chittor, a woman who had an irresistible aura about her. 10. 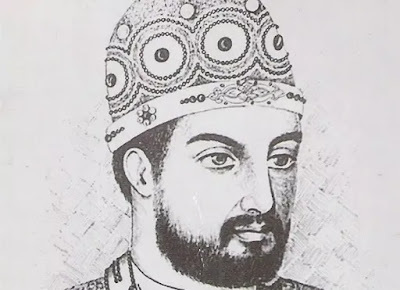 Malik Muhammad Jayasi, a poet in 1540, in his poem written more than 200 years after the death of Sultan Alauddin Khilji, was the first one to mention about the beautiful queen of Chittor. Is she a fictional character created by the poet? Did such a queen of real beauty exist?. These questions need to be answered firmly. As such, the story of Padmavati is a debatable one. 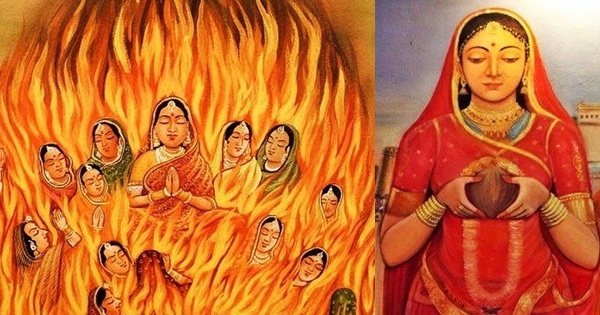 However, many are convinced that Padmavati was actually Rani Padmini, a princess from Sri Lanka who married Rajput ruler Rawal Rattan Singh and moved over to Chittor. 11. Padmavati’s Palace, a white, a three-story structure is an important part of the palace and bears a forlorn look. It was here Sultan Alauddin Khilji was purportedly allowed to take a glimpse of Rani Padmini’s reflection on the water. Overwhelmed by her attractive personality and driven by lust, as the story goes, Khilji made up his mind to possess her at any cost and finally took the option of waging war on Chittorgarh in 1303.The ruler, having been defeated, Padmavati resorted to self immolation; she would rather die than be a slave in Sultan;s harem in Delhi. 12. Rana Kumbha’s Palace, one of the most massive monuments in the fort is believed to have underground cellars, where Rani Padmini committed jauhar (self-immolation). 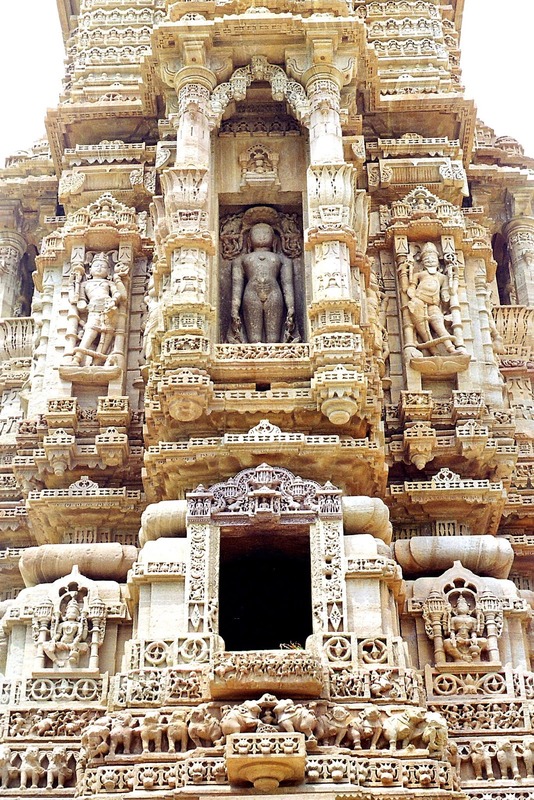 Visitors could sense an air of melancholy hanging over Rana Kumbha Palace which is in a dilapidated state. 13. Chittorgarh Fort. 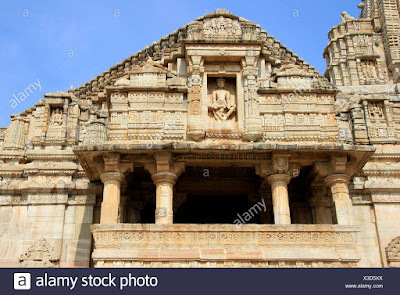 has yet another attraction' it is that of a Sri Krishna temple where Meerabhai, a great devotee of Sri Krishna worshiped. 15. The large self- contained fort attracted many power rulers and was subject to war raids. It was attacked for the first time in the year 1303 by Allaudin Khilji. 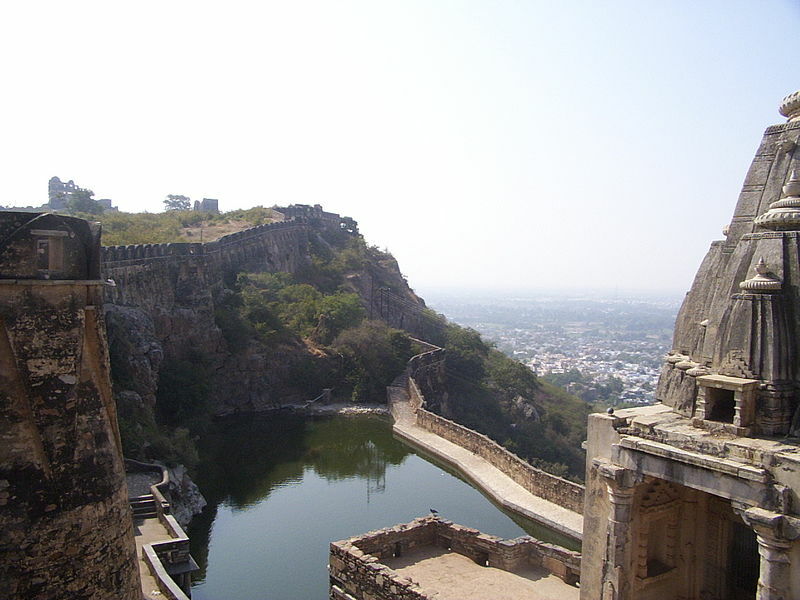 Next attack was in 1535 by Gujarat’s Sultan Bahadur Shah who ransacked the fort. 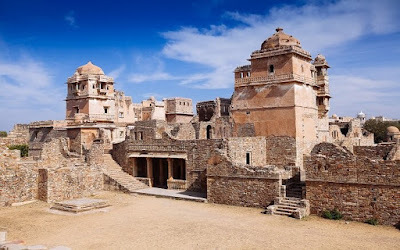 The fort was attacked again for the last time in the year 1567, when the third Mughal Emperor Akbar decided to pressurize Maharana Udai Singh by the siege of Chittorgarh. 16. Unfortunately, all these three attacks saw saka and jauhar - collective self immolation - committed by both men and women folks, who preferred death over surrender. 18. The light-and-sound show, it is said is an interesting one covering various characters associated with this fort. It is held every evening (7pm in English and 8pm in Hindi. Timings change with season).